For anyone who has ever experienced virtual reality, to be honest, “cozy” is not the first term which comes to the mind. But if the makers at Google have to be believed, then its Daydream view headset can change that. At a recent live event in San Francisco, Google announced the Daydream view, which is said to be a “really comfortable” headset that you put your phone into, which then connects wirelessly to the headset and a small remote. 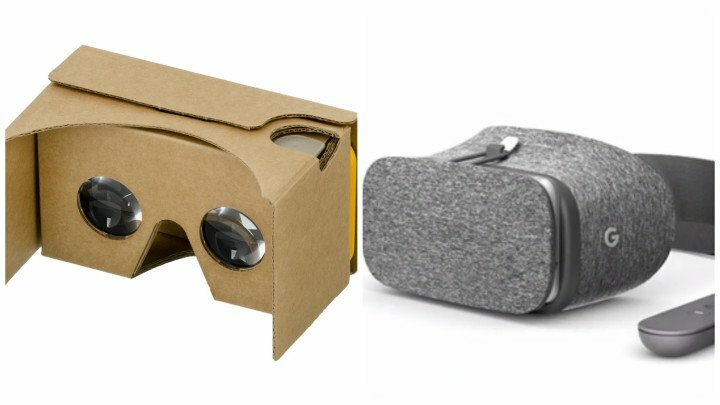 For Google, whose first entry into the VR space was the cheap but not-at-all comfortable Cardboard, Daydream is a much-welcomed entry. A relief from the plastic and foam of most headsets, Daydream is made out of soft cloth that feels more like felt or a blanket. Though it is softer and comfortable but being fabric, it does come with a few tradeoffs. The most important of which is the part touching your face gets dirty quickly. But to that, Google representatives emphasize repeatedly that they don’t think staining would be a significant issue for most users as the inside fabric panel is removable so you can wash it from time to time. Another great benefit of this setup is the fact that it comes with a “no cables attached” tag. One doesn’t need to plug it into a PC or a console, moreover, you don’t even need to plug the phone into the headset. Another good point is that setting up the viewer is also far simpler than the Gear VR or even Cardboard. The phone slips into the front lid easily and the front panel attaches to the top of the headset with an elastic loop. The front panel can also come out a bit so larger phones and phones with cases can fit inside. But after so many benefits, there obviously is a downside too, and that is the fact that at present the only phone with Daydream capabilities is the new Google Pixel which makes the wallet-friendly price of the set a little misleading. However, to everyone’s relief, a lot of big brands are already on their way to making Daydream compatible phones which include Huawei, HTC, LG, etc. Apart from the headset, the kit also includes a small wand-like intuitive controller. The sensors hidden inside the controller are so precise that one can even write their name with it. Having a controller means you can do things when you go “places” in the VR. The controller fits nicely in the palm of the hand and is easy to use. It’s as accurate as Google promised and the virtual reality world itself is really impressive.